News Updates - AEDIS REAL ESTATE GROUP, INC.
Nearly 60,000 people experience homelessness on a given night in Los Angeles County, a 23% increase from last year. Developers like Aedis Real Estate Group are devising innovative solutions to house the homeless. 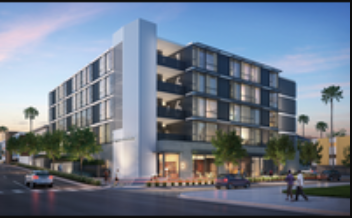 Aedis has teamed up with the Los Angeles County Department of Health Services to create Hope on Alvarado in Los Angeles’ Westlake District. 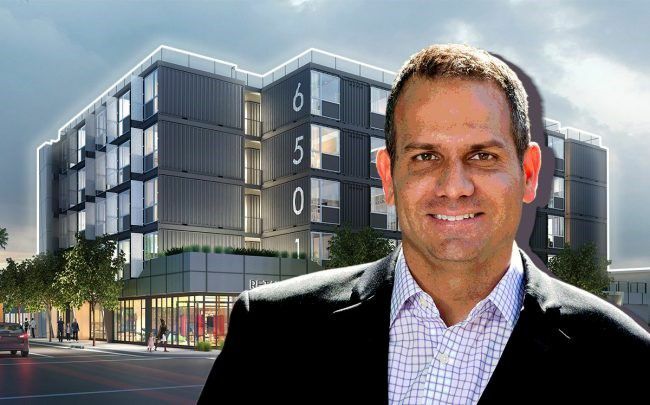 Hope on Alvarado, a four-story apartment complex with 84 studios and one-bedrooms, is the first of a series of Hope projects that uses shipping containers as the main building material. Earlier this year, KTGY Architecture + Planning unveiled renderings for Hope on Alvarado, a unique homeless housing complex in Westlake that will be constructed out of shipping containers. Heavy construction of the project is not expected to commence until next year, but it looks like some preliminary work is already underway.Photographer Michael Hayes snapped a picture from a passing bus which shows that the Streamline Moderne medical office building that previously occupied the property at 166 S.
Recently some dwelling houses in Daxing County, a suburb of Beijing, have caused the death of rented and salaried workers as a result of the fire. Beijing leaders are working hard to solve this problem. On the one hand, they resolutely demolish the dilapidated houses and plan to build new houses on the other. I support the leadership of Beijing in a comprehensive arrangement. Now I give a group of Los Angeles in the United States to solve the homeless housing a set of pictures, may give Beijing city leaders a reference. The workhorse cargo container is at the center of an architectural design craze.It even has a moniker: “Cargotecture.” Shipping containers are being recycled to create luxe homes and vacation getaways. Hipster food halls. A 40,000-seat stadium for the 2020 FIFA World Cup.In Southern California, containers are being modified for a more modest but vital purpose. They’re being configured as apartment complexes to house the homeless.“There’s a huge demand,” says Lisa Sharpe, senior vice president for GrowthPoint Structures, a Carson company that revamps shipping containers to be assembled as apartments. The post-Hurricane Irma giant can generate electricity for 30,000 homes in the United States > Design "heath" for the apartment area modest! The Conversation is an independent and nonprofit source of news, analysis and commentary from academic experts.) Sean Weiss, City College of New York (THE CONVERSATION) A decade after the global economic collapse, urban development is booming. This is good news for architects. Indeed, 2018 promises to be a favorable year for the profession: A spectacular array of sleek museums, posh hotels and some of the world's tallest towers are slated for completion. But income inequality is on the rise in the United States, with many city dwellers reaping few benefits from the current economic upturn. Big buildings get the attention. But small ones can create community. A spectacular array of sleek museums, posh hotels and some of the world’s tallest towers are slated for completion. But income inequality is on the rise in the United States, with many city dwellers reaping few benefits from the current economic upturn. A decade after the global economic collapse, urban development is booming. This is good news for architects. Indeed, 2018 promises to be a favorable year for the profession: a spectacular array of sleek museums, posh hotels and some of the world’s tallest towers are slated for completion.But income inequality is on the rise in the United States, with many city dwellers reaping few benefits from the current economic upturn. What makes it different from other affordable houses is the material used for building the structure – shipping containers will be used as primary building material Hope on Alvarado is not only a hope for homeless in Los Angeles where approximately 46, 874 people struggle with homelessness but may also throw open the doors for new way of building affordable houses. 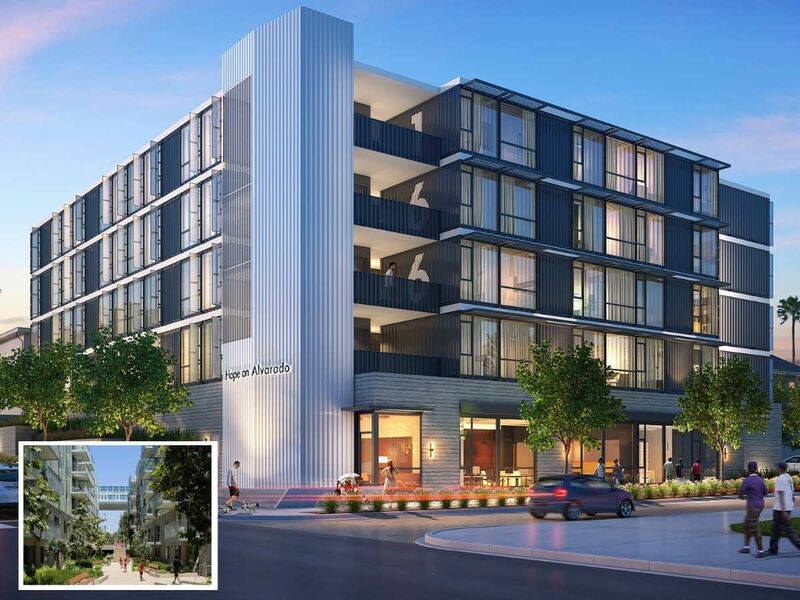 The five-story building, to be built on 0.44 acre land, will contain studio and one-bedroom apartments, ranging from 400 to 480 square feet. Earlier this year, KTGY Architecture + Planning unveiled renderings for Hope on Alvarado, a unique homeless housing complex in Westlake that will be constructed out of shipping containers. Heavy construction of the project is not expected to commence until next year, but it looks like some preliminary work is already underway. 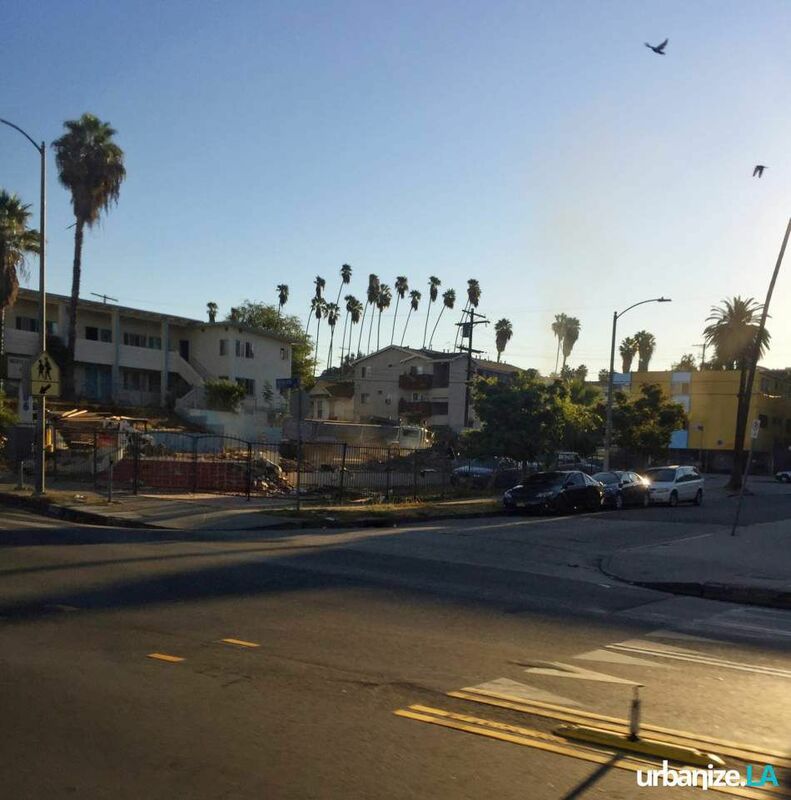 Photographer Michael Hayes snapped a picture from a passing bus which shows that the Streamline Moderne medical office building that previously occupied the property at 166 S. Alvarado Street has been demolished, clearing the way for the new apartments. LOS ANGELES - - KTGY Architecture + Planning has unveiled designs for Hope on Alvarado, a new building that will be the first of a series of housing developments in highly walkable communities, providing support services for individuals transitioning from homelessness. The building, west of downtown in the Westlake District of Los Angeles (166 S. Alvarado Street), is moving quickly through the development process and is slated to begin a six-month construction period in the first part of 2018. The accelerated construction is due to a unique design incorporating shipping containers as a primary building material. Aedis Real Estate Group and the Foundation for Affordable Housing have broken ground on a new development in the Westlake District. 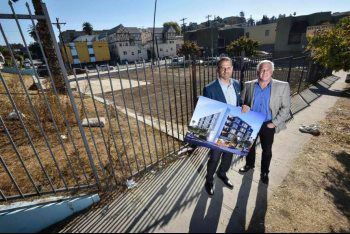 The Hope on Alvarado Street, located at 166 N. Alvarado Street, will consist of a five-story structure containing 84 studio and one-bedroom apartments, as well as space for on-site social services and a small parking garage. The apartments are to be priced for persons making 60 percent or less than the area median income, with rents set between $788 and $1,014 per month. Another development along the Crenshaw/LAX Line. Another affordable housing complex is set to rise along the path of Metro's new Crenshaw/LAX Line.